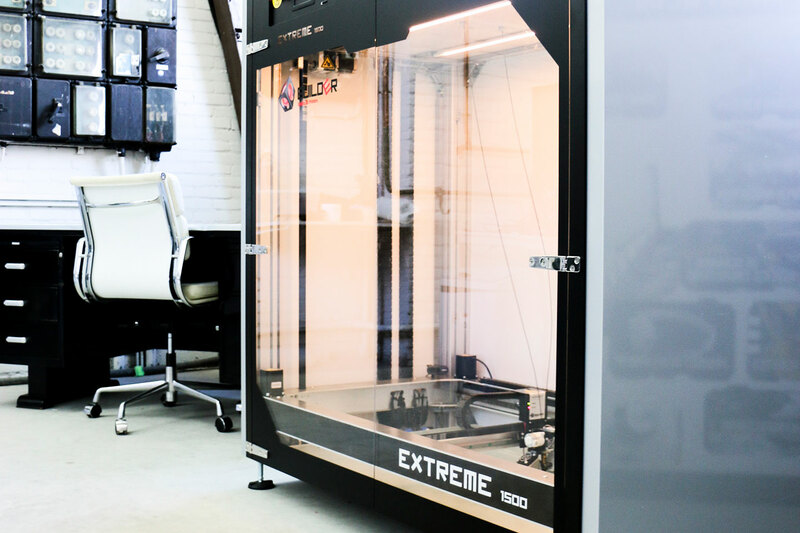 KLM Engine services is 3D printing customized production tools. KLM Engine services is responsible for the repair and overhaul of jet engines from KLM and customers. During the overhaul process some engine parts need a fresh polish and coating. The non-coating areas of the parts that need coating are being protected by professional heat resisting tape. Service engineers apply and remove this tape manually. This is very time consuming. With the Ultra HD 3D scanner at 3DMZ the original part of the engine is being scanned and digitized in the computer. 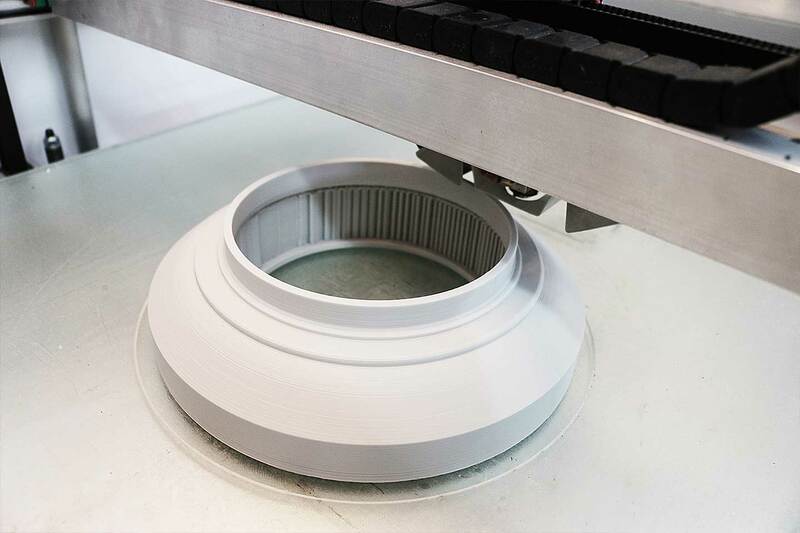 With special software they created a negative model of the area that the coating spray is not allowed to reach and 3D printed this part on the large scale 3D printer in a heat resisting material. This part was 3D printed on the Builder Extreme 1500 in a heat resistant polymer. KLM Engine Services now has a custom made 3D printed protection screen. This perfectly fits the original part and can be used many times during coating instead of the original method with tape that needs to be placed and removed manually every time. This tool helps KLM Engine Services save time during the overhaul process and drive down costs. An 80% decrease in preparation time and costs.